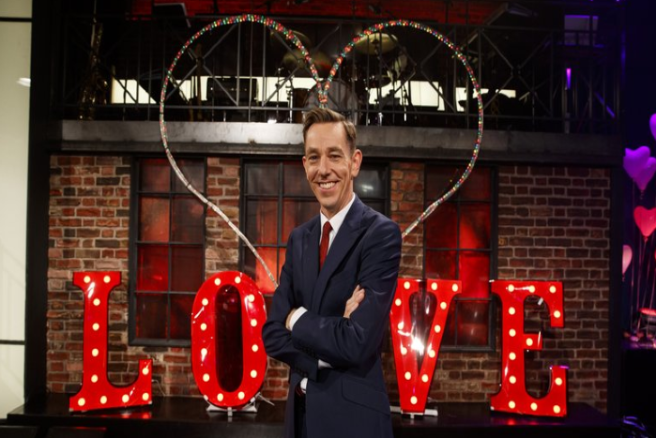 HomeTagsPosts tagged with "ronan keating"
Ryan Tubridy is delivering a massive treat this week for RTÉ viewers, both for rugby fanatics and the 1990s generation. Fresh from his heroic performance on Saturday which saw Ireland defeat the All Blacks, man of the match Peter O'Mahony is dropping by RTÉ One studios to discuss the immense victory, and what the team has planned for 2019's World Cup. It's fair to say the entire nation was screaming at the TV, or else hiding behind the couch from the sheer tension of the match, where Ireland beat New Zealand for only the second time ever by 16:9 points, and Peter O'Mahony played a massive role. Next up: it's Boyzone, every 1990s Irish gal's dream. After selling over 25 million records, it's fair to say that Boyzone have enjoyed phenomenal success. With several number 1 albums and numerous top-selling singles, the boys are set to embark on their farewell tour after 25 years, we are SO THERE. Ronan Keating, Mikey Graham, Shane Lynch and Keith Duffy will be telling Ryan Tubridy why it’s time to say goodbye. Professor Brian Cox is stopping by, continuing on his journey to make complex scientific ideas understandable to all. The charismatic scientist joins Ryan to explain his passion for unpicking the infinite universe around us, and tells us why he's going on tour to bring science on the road. Whether you're a nerdy fan or a total science novice, he's a fascinating guest to watch speak. Fr Tony Coote was diagnosed earlier this year with Motor Neurone Disease and chose to walk the length of Ireland to raise awareness and funds for sufferers. He will be speaking to Ryan on the show alongside Professor Orla Hardiman, consultant neurologist at Beaumont Hospital. Fr Tony intends to discuss the success of “Walk While You Can” and how he is adapting to life with the disease. Some of the entrants for Carer of the Year will also be guests on tomorrow nights show, so it's the perfect chance to hear about the amazing work they do in incredibly intense circumstances. Mario Rosenstock will be providing the comedy element with his renowned impressions, and music will be from The Stunning who are joined by the RTÉ Concert Orchestra. There is also a pair of tickets to next week’s Late Late Toy Show up for grabs in the viewer prize, perfect for the kids to come along to. The Late Late Show airs on RTÉ One this Friday, November 23 at 9.35pm. Fans commend Yvonne Connolly for handling her ex’s affair with "grace"
Fans are calling Yvonne Connolly an “amazingly brave, strong woman” for her words on RTÉ’s Cutting Edge. The stylish mum opened up about her ex-husband Ronan Keating’s affair with a dancer named Francine. Her and Ronan share three children together and had been married 17 years before they split in 2015. She initially found out that Ronan was cheating by seeing his constant calls in their shared phone bill and decided to meet up with the dancer herself to see if her story matched her husband’s. “I did get in touch with the girl involved, and I arranged to meet her in a hotel — my hotel, which she did,” the former model said. "I just needed answers. I just needed the truth, and I needed to make sure stories collaborated. It was very hard to figure out who you can trust. “So this was the answer to it — I was going to meet this girl, a quick 20-minute conversation, and we’d be done and dusted. When the two parted ways, they both gave each other a hug and wished each other well. And fans have reached out on Twitter commending Yvonne for the “grace” she had in handling the heartbreaking situation. “In awe of how classy Yvonne Connolly is on Cutting Edge. She’s a million times better than Ronan Cheating will ever be,” said one comment. “You were excellent tonight, Yvonne. Very inspirational with regard to betrayal. You’ve moved on faster than I can but you gave me hope, so thank you”. One man dubbed the stunning mum “engaging, honest, and lovely as ever”. Yvonne went on to say that her divorce was actually good for her. “When my marriage broke up, I regained my identity and confidence." Fair play to Yvonne for conducting her reaction to a terrible situation with the utmost class. Her honesty has inspired so many others in similar circumstances to remain strong. After a quarter of a century of Boyzone, the lads are closing this particular chapter in their lives. The boy band, made up of Keith Duffy, Michael Graham, Ronan Keating, and Shane Lynch, just announced their final album and farewell tour. "When we started out as five young Dublin Northsiders, eager to face the world, we never imagined that we'd still have an army of fans some 25 years later… If you'd seen our famous first TV appearance on The Late Late Show, you'd probably be surprised too!" they wrote in a statement on their website. Boyzone has released six albums, and the members say their musical career has been 'the stuff of dreams'. "We really can't put into words just how much you, the fans, have supported us along the way. Without that support, we would have never achieved what we have, and for that we're eternally grateful," they shared. The four men also paid tribute to late Boyzone member Stephen Gately in the statement. He died at the age of 33 from pulmonary oedema, or fluid accumulation in the lungs. 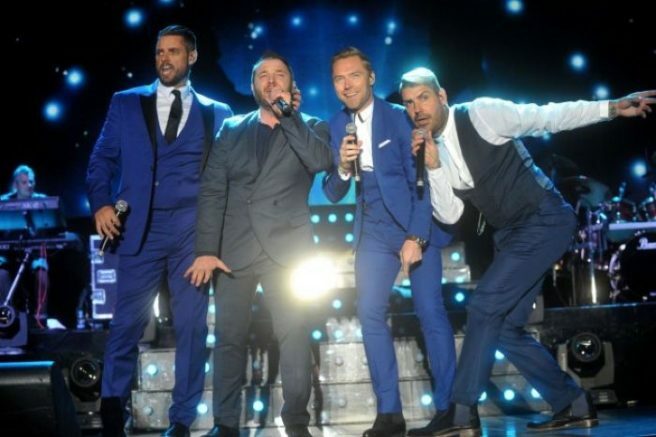 "We were immensely touched by all the tributes and messages of support that helped us through the dark days," the band members wrote, "Stephen was our brother and will always be at the very the heart of Boyzone." The four remaining members of Boyzone expressed that they feel they've outgrown their boy band days. "We're certainly not boys anymore, and we all feel that we should now call time on our lives together as Boyzone and go out on a real high," they noted. The band will be embarking on a farewell tour this winter, with a show in Belfast's SSE Arena on January 23 and another in Dublin's 3Arena on January 24, as well as gigs throughout the UK. Tickets go on sale on Friday, June 22 at 9am. "We came across a demo that he originally recorded for his solo album in 2002 and we've had the opportunity to re-work the song and add our harmonies alongside his lead vocal. "It was a bittersweet experience to hear all our voices together again. It's the closest the five of us will ever get to being in a room together again making music." They added, "We know this love's forever. That's all that matters, no matter what…"
So, Storm Emma has well and truly passed, the supermarket shelves are packed once again and the 'bread gate' 2018 is all but a distant memory. And while we're pretty sure the nation is sick to death of talking about slice pans, we're pretty sure Irish Pride's new product will get people's attention. 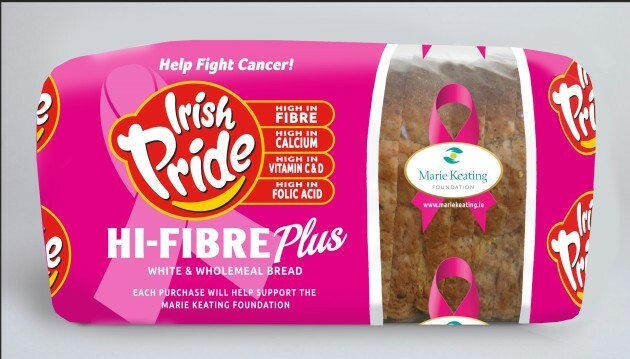 In partnership with the Marie Keating Foundation, Irish Pride have launched a 'pink loaf' to raise much-need funds for the foundation. 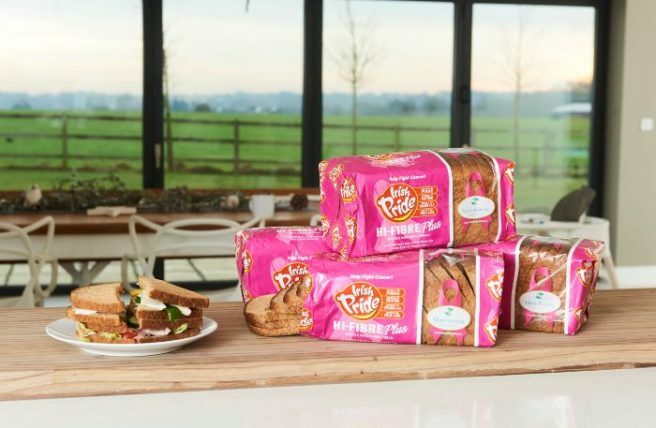 The Hi Fibre Plus loaf will be wrapped in bright pink packaging and is full of fibre, folic acid calcium and vitamins – and low in fat and sugar. The money raised will help the Marie Keating Foundation continue to deliver cancer services to help families struggling because of cancer and raise awareness around the YourHealth:YourChoice campaign. The campaign, fronted by celebrity power couple Ronan and Storm Keating, highlights the important message of maintaining a healthy diet and body weight to reduce your cancer risk and ties in perfectly with Irish Pride’s ethos to promote healthy eating and a healthy lifestyle. “It is great to support such a worthy organisation as the Marie Keating Foundation; they are making great strides in cancer awareness and prevention each day,” said Declan Fitzgerald, Managing Director of Irish Pride. You can purchase your ‘Hi-Fibre Plus’ pink loaf in stores across Ireland now. 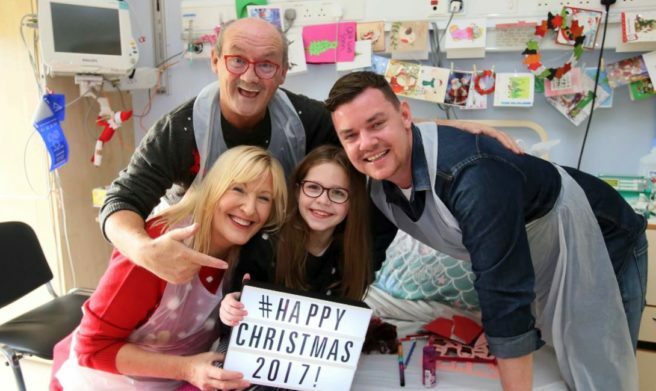 Children at Our Lady's Hospital in Crumlin were treated to the ultimate Christmas surprise today when a whole host of well-known faces popped in for an afternoon of festive cheer. Brendan O'Caroll and Ronan Keating led the festivities which saw 20 celebrities belt out carols and visit sick children at their bedsides. Now in it's 13th year, The Celebrity Ward Walk was organised Ronan Keating's brother Gary and his wife Valerie, both of whom are active supporters of the Children's hospital. Also in attendance was musical duo Picture This, broadcaster Lorraine Keane, TV3 presenter Lucy Kennedy, model Holly Carpenter, and former footballer Shane Hunt. "It is just wonderful to see our patients’ faces light up when the stars enter their wards." "Apart from Santa’s special visit this is one of our most exciting Christmas events, which we look forward to all year round!" 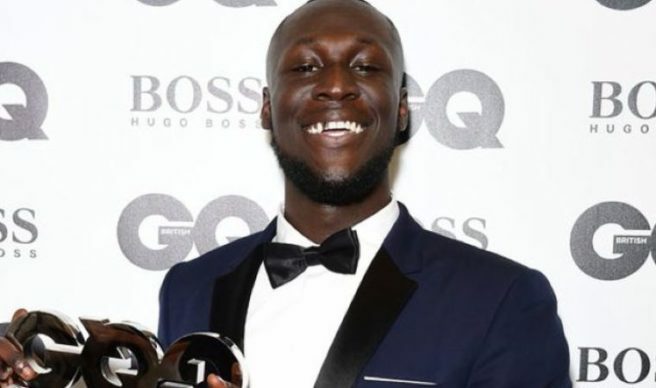 If you thought the highlight of Stormzy's night at the GQ Men of the Year Awards was picking up the Copper Dog Solo Artist of the Year, you'd be wrong. The 24-year-old, who took to the stage to accept the accolade, gave perhaps one of the most humble speeches we've heard in a long time. Sounding genuinely touched by the events of the night, he began: "It’s such a blessing to be here. In a room full of so many legends." And then he dropped the RK bomb. "I got a selfie with Ronan Keating, are you mad?” he added before confirming the same on Twitter. "At these events I just run up to everyone and beg it man just met ronan keaton are you mad," he wrote to which Ronan replied: "Nice to meet ya, Man." Unsurprisingly, Twitter users wasted no time throwing the suggestion of a collaboration into the mix, with one writing: "Whopper collab of Rollercoaster ft Stormzy." Oh, and if that wasn't enough of an ego boost for good ol' Ro, former Oasis frontman, Liam Gallagher, seemed equally as pleased to have made his acquaintance. Replying to the grime artist, Liam wrote: "@Stormzy1, you say you got a selfie with @ronanofficial? I got a f****** handshake man!" 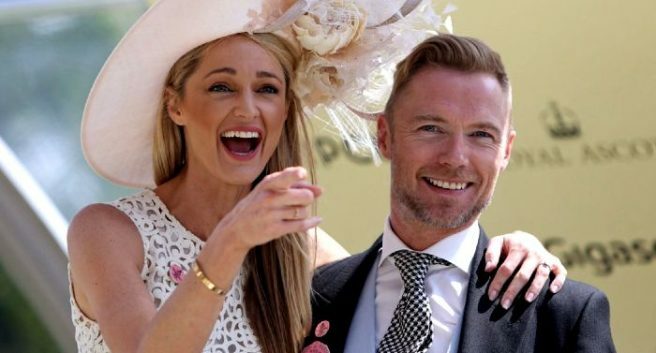 Just days after welcoming his new baby boy with wife Storm Keating, Ronan Keating has headed back to work. The couple announced the news over social media as they welcomed Cooper Archer Uechtrirz Keating. Now, Ronan is headed back to work, but admits that he is missing his new little boy already. Taking to Instagram, the star shared a snap of himself casually boarding a helicopter. 'No rest for the wicked. Back to work. Missing the young fillet already,' he captioned the snap. The couple are clearly so excited about their new addition, with Ronan penning a gushing post to his wife an son a number of days ago. 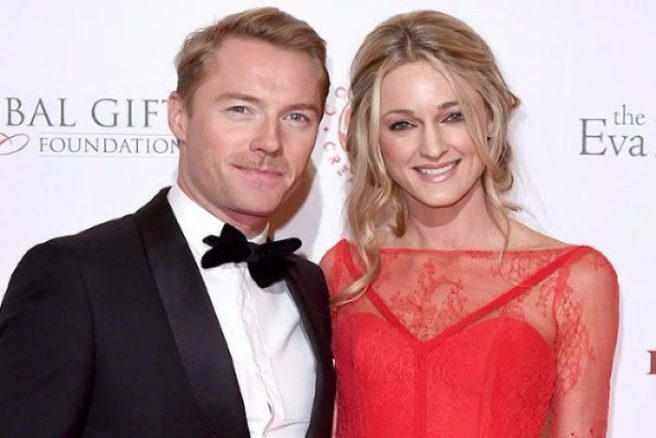 Congratulations are in order for Ronan and Storm Keating, after the pair welcomed a new baby boy this week. The happy couple announced the news on Instagram two days ago, with Ronan and Storm sharing a photo of his wife holding their newborn son. Storm took to her social media accounts to reveal the name they finally agreed on last night. The new arrival is to be called Cooper Archer Uechtrirz Keating. Ronan previously took to Instagram to gush about their new addition. 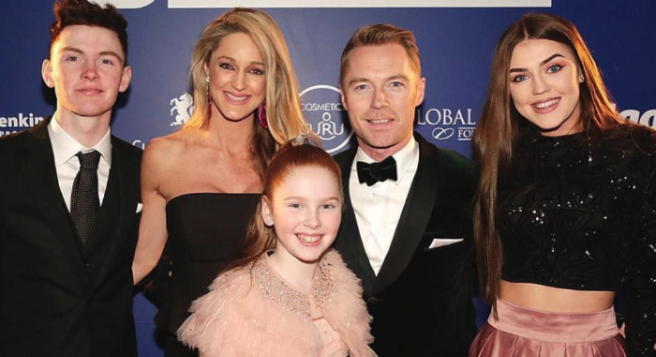 Congratulations are in order for Ronan and Storm Keating – they have just welcomed a new baby boy. The happy couple announced the news on Instagram today, with Ronan sharing a photo of his wife holding their newborn son. He captioned the post: "Incredibly excited to announce the arrival. We're all bursting with love for the newest little member of our family! "Feeling very blessed to be daddy to this little man and the luckiest man in the world to be husband to such a strong, loving and warm-hearted woman and add to my beautiful family." It was only yesterday that Storm posted a picture of her hospital bag, with the hastag, #planfortheunexpected. Like father, like son, hey? Well, Ronan Keating and his son Jack were very much alike this weekend while celebrating their birthdays together. The singer turned the big 4-0, while Jack celebrated his 18th in style. Ronan's wife, Storm, took to Instagram today to share some pictures from their yacht party (yep, they partied on a yacht) and it looked deadly. The soon-to-be mother captioned the pictures: "Best night ever celebrating father and son milestone birthdays on the Silver Sturgeon yacht with family and friends. "Just got a couple of sneak peek pictures, and can't wait to see the rest." Meanwhile, the former Boyzone star took to social media to send a heartwarming post to his son. He wrote: "Happy Birthday to the best son a father could dream of. Can't believe it's been 18 years since the day you came into my life. "I am so proud of you and the young man that you are. You are the coolest cat I know. Love ya son." 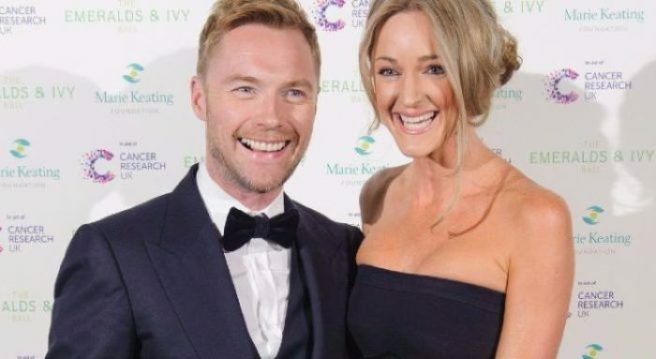 Ronan Keating is getting ready to become a dad for the fourth time, and he seems absolutely obsessed with his pregnant wife, Storm, at the moment. The singer took to social media to gush about Storm as they enjoyed a little getaway in the Middle Eastern nation of Oman over the weekend. 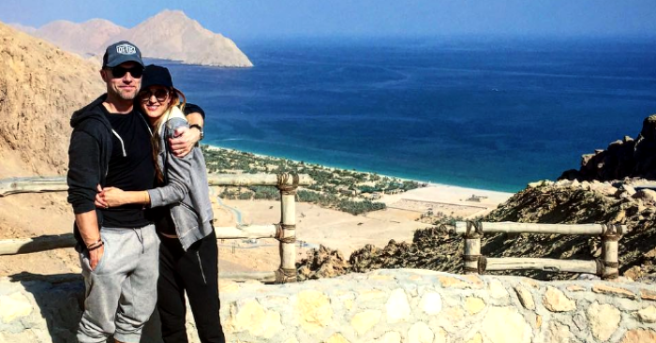 Taking to Instagram, Ronan said: "Finally arrived in magnificent #Oman… O-man she looks good." Storm was posing alongside a cliff, holding her growing baby bump, wearing a black tracksuit, baseball cap and sunglasses. The couple have been enjoying some time away this week, with Storm taking to the photo sharing app to post pictures of her holidays. 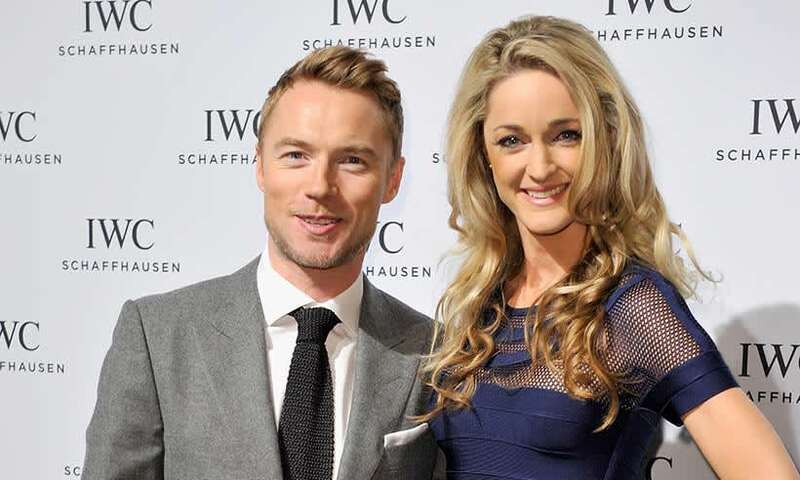 Congratulations are in order for Ronan and Storm Keating – they're expecting a baby! Storm revealed the exciting news on her blog today by writing a really heartfelt post. "On the 17th August in 2010, my husband and I became friends. On the same day five years later we became husband and wife. We’re now very excited to announce that a year later (and again to the exact date) we became parents-to-be!! And so THAT’S why I passed on the mulled wine. “This Christmas we’ll just be asking Santa to keep our baby safe and to spread some extra happiness and joy to you and all your families also,” she wrote. Aw, how wonderful! We're totally delighted for them.